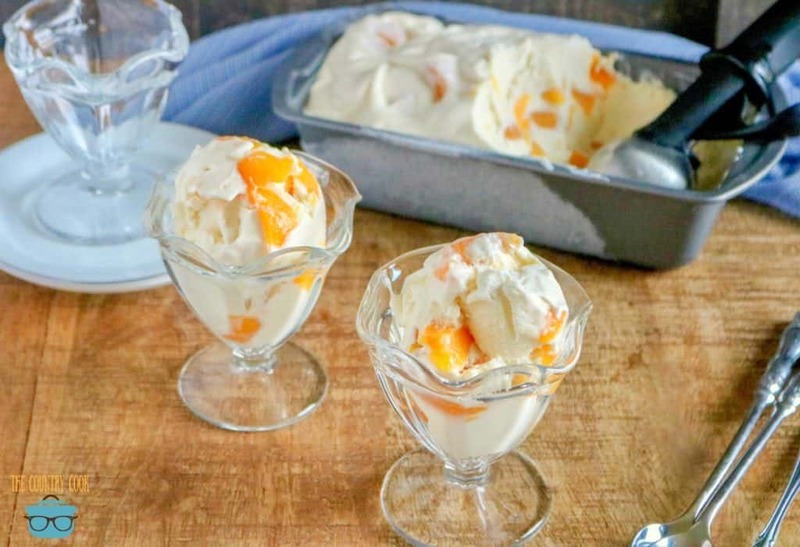 This Easy No Churn Peach Ice Cream recipe has all of those summer vibes. 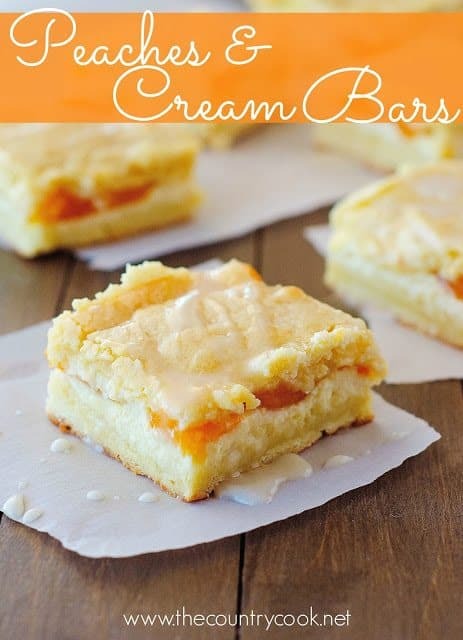 It’s so creamy and incredibly easy to make! 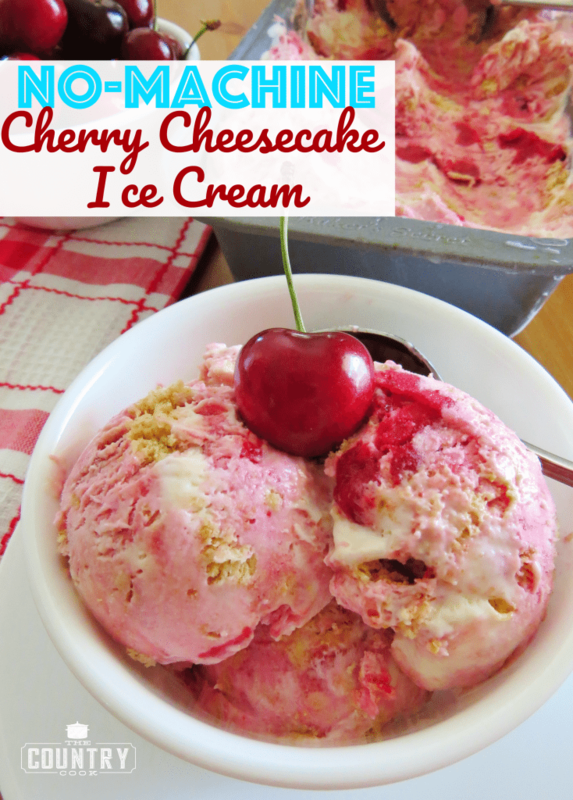 You don’t need an ice cream maker or any special equipment to enjoy this sweet treat. 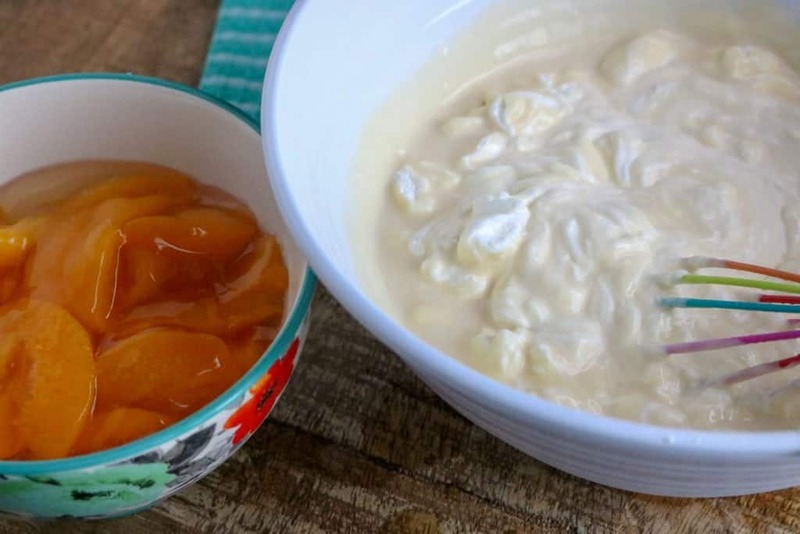 You could certainly use fresh peaches in this recipe but I used peach pie filling for simplicity’s sake. You can use strawberry, cherry and blueberry pie filling as well. Fold (gently stir) about one cup of prepared whipped cream into the sweetened condensed milk and mix until smooth. 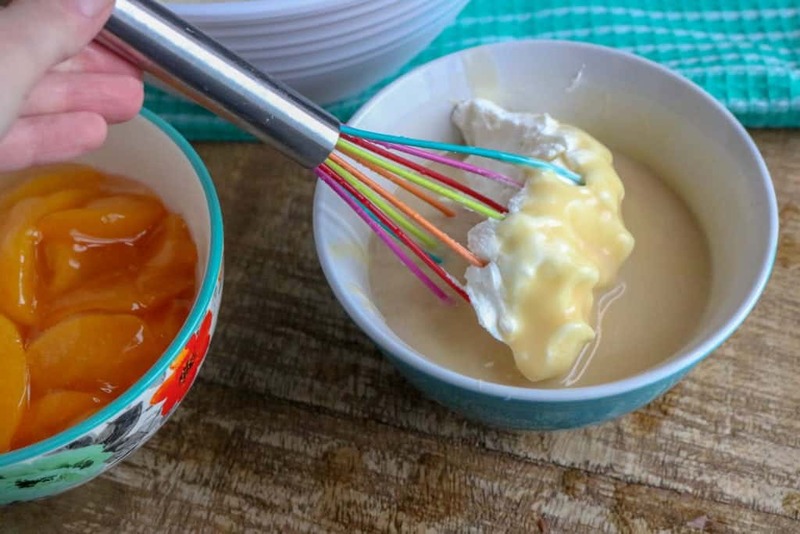 Pour this sweetened condensed milk/whipped cream mixture back into the bowl with the rest of whipped and gently fold together until smooth and creamy. Next, gently stir in the peach pie filling. Pour mixture into a freezer safe dish. A large bread baking pan will work perfectly. Cover with plastic wrap. 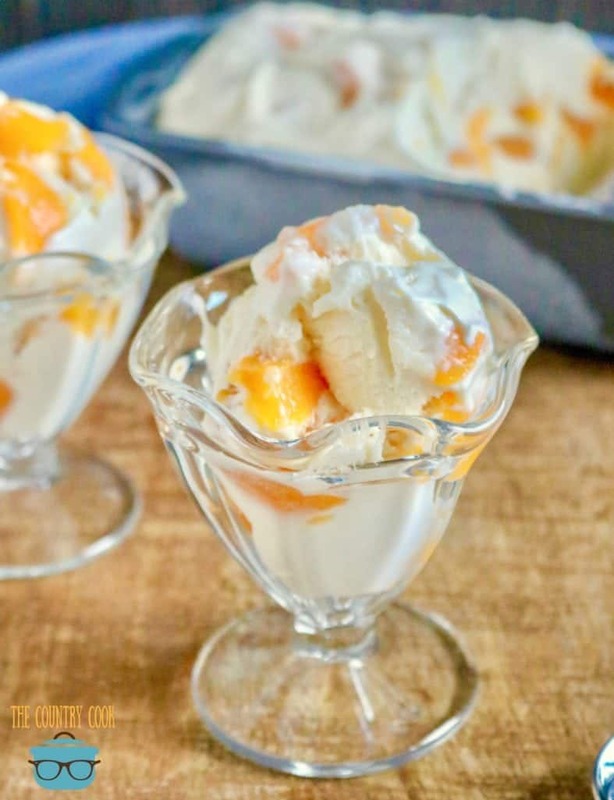 This Easy No Churn Peach Ice Cream only has 4 ingredients and can be made in less than 15 minutes. No ice cream maker needed! Next, pour half of the ice cream into a freezer safe container (a large bread baking pan works good.) 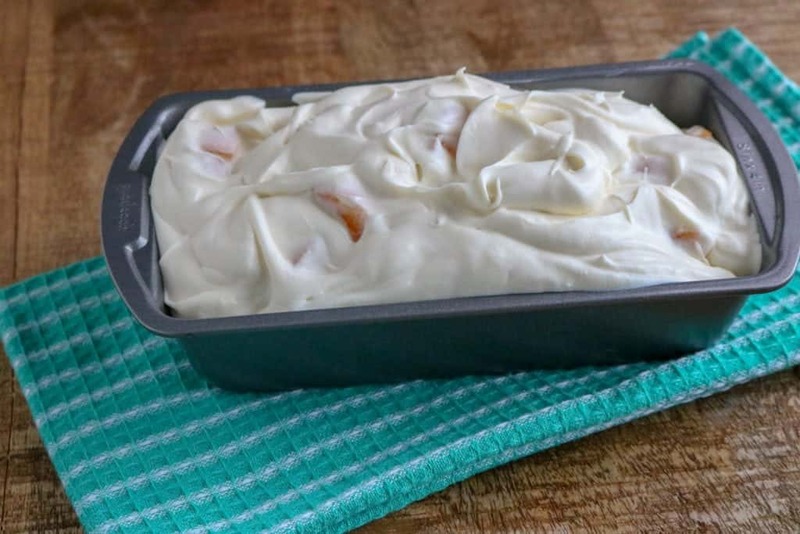 Add half of the peach pie filling and use a spoon or a knife to swirl the mix-in together with the ice cream mixture. Top peaches with remaining ice cream mixture, and then top that with the remaining peach pie filling. Swirl again. Cover with plastic wrap. 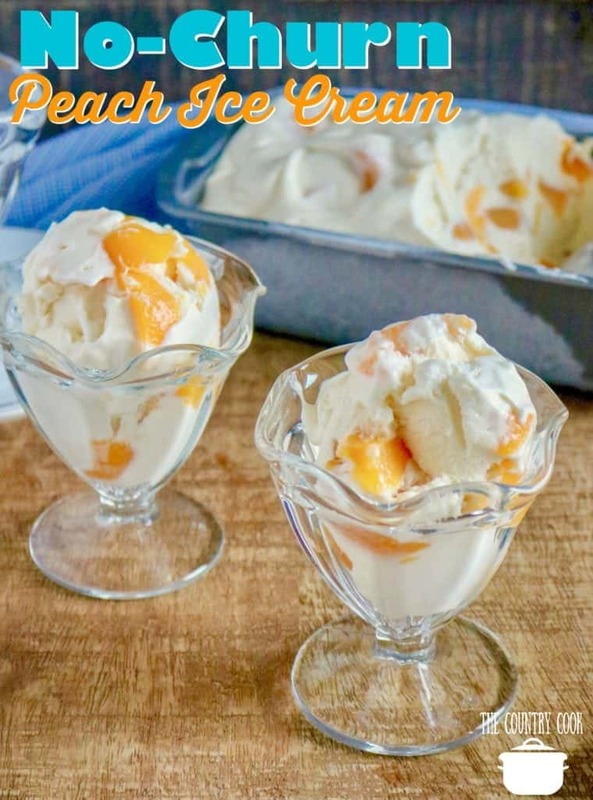 Would it work, to used freshly picked peaches cut up , in the No-Churn Peach Ice Cream?? If so, how many would I use? 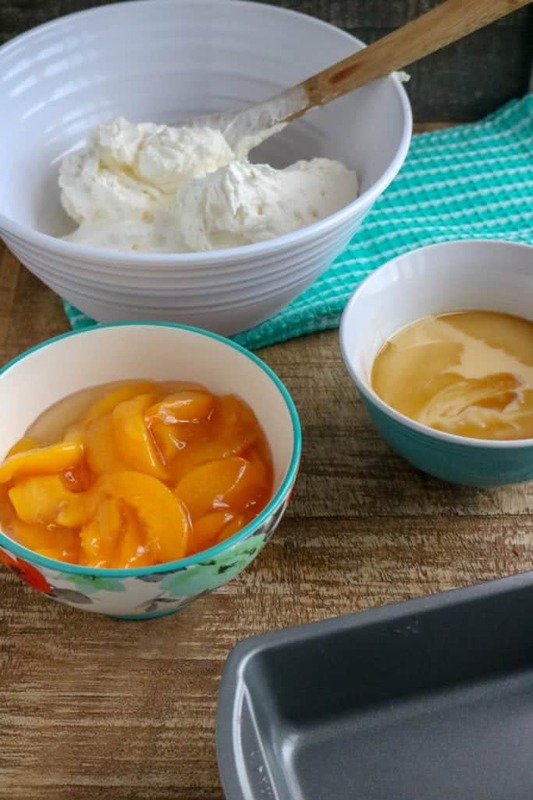 How many fresh peaches should be substituted for the peach pie filling and should anything else be added as the pie filling has a sweetened sauce in it? 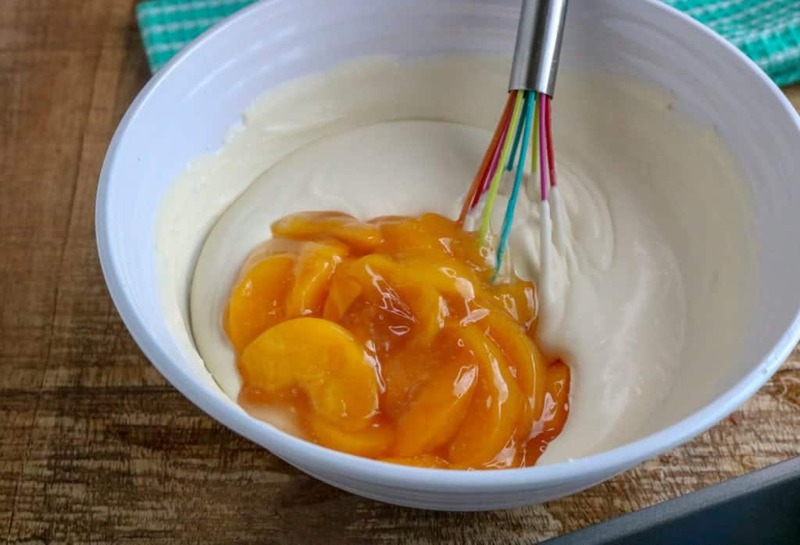 Can I just use fresh peaches or is the extra fluid and thickening agents in the pie filling necessary for a good result? I love ice cream, particularly homemade. I had never tried the no churn version before. 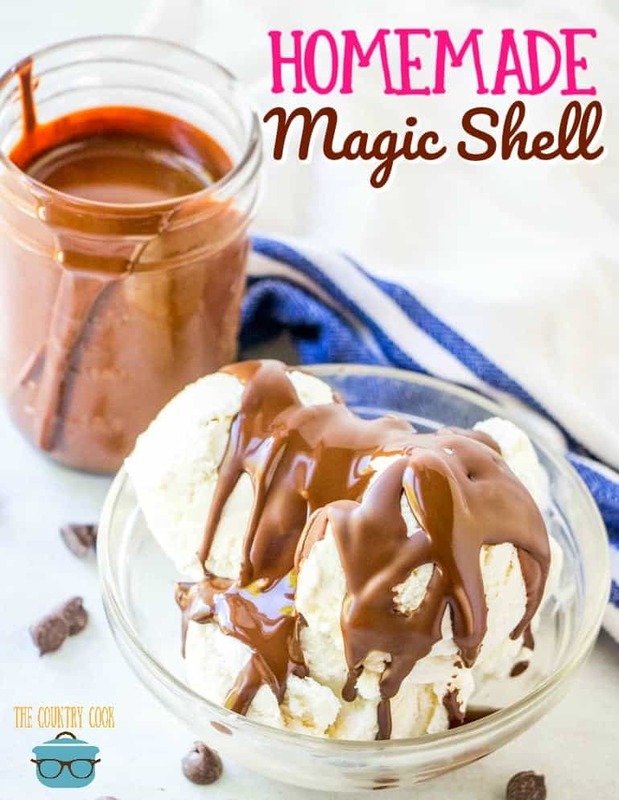 I have seen many recipes for no churn, but I just figured it couldn’t be as good. Your pictures made this look so tasty that I had to try it. It is absolutely delicious! I just made vanilla bean ice cream but this looks so much better. This will be the next one on my ice cream list. 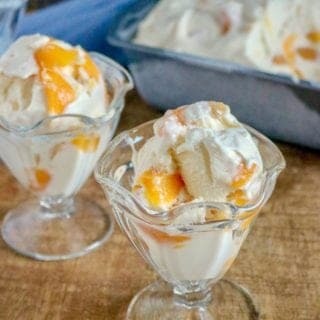 I have had Peach Ice Cream before because I love the taste but never have tried to use it in ice cream. Can’t wait – thanks!